Is ranked joint 9891st with 99 other trigs (more). Didn't expect to see the block, but a higher score for one of the best views in the Lakes obtained with not a lot of effort. Hoping it might be exposed by the erosion caused by a plethora of visitors but no luck. Had a very half hearted poke around but really need my big screwdriver and trowel. I did not try very hard. Superb late afternoon view. No sign of block, well worth the short hike for the stunning views though. 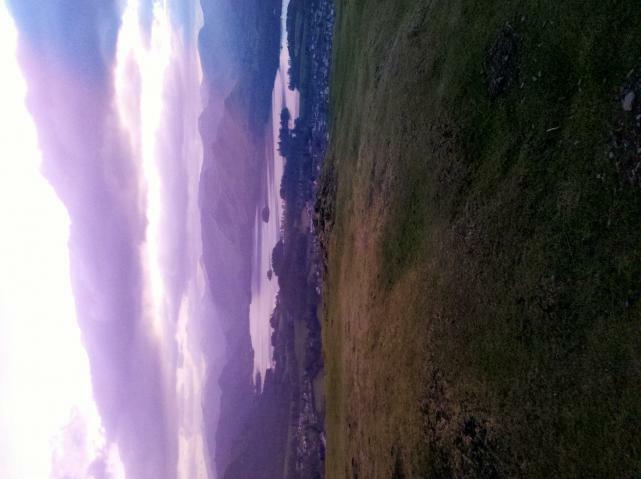 finished work early so nipped up Latrigg. gps points to grassy knoll near exposed bed rock. nothing obvious found with trowel. why not a bolt in the bed rock? No sign on surface. 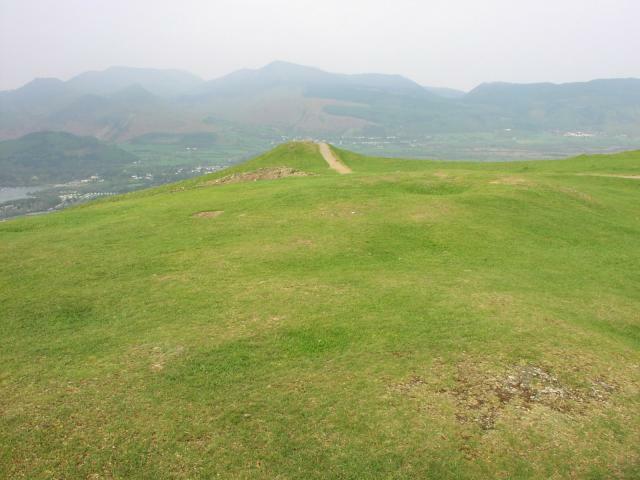 Having spent 6 hours exploring the various tops of Skiddaw, the drag up her from Gale Road carpark was murder. 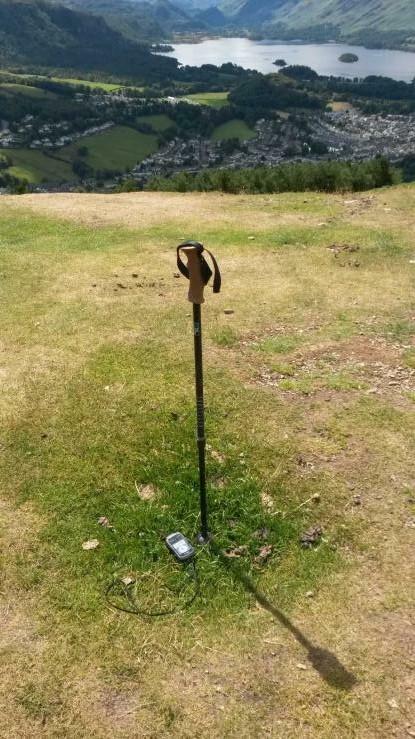 Not really a place for digging either. a far better view than expected. no block though.